Chicago rapper ProbCause’s Drifters thrives in its versatility, with a thread of enthusiasm and self-satisfaction remaining constant throughout the 12-song album. Live instrumentation is sprinkled into the production with sprawling subject matter that ranges from enchanting explorations of romantic companionship on “Portrait” to a dream state of skepticism on “Wake Up” and later the slacker-friendly serenading of “The Woods.” Debuted by Red Bull Music, Drifters reveals the highly collaborative and vibrant musical community within the city of Chicago. ProbCause remarked, “I work with a lot of really talented musicians in Chicago so it was a very organic thing to involve them in the production process.Will Miller from a band called The O’My’s plays horns on a lot of the songs and really helped take the album to another level,” he added. “[This album] is much more musical than anything I’ve made in the past.” The album contains production from Gramatik, the Geek x Vrv, Exmag, GRiZ, Drew Mantia,Cofresi, Wes P, Breakscience and Mike Irish. 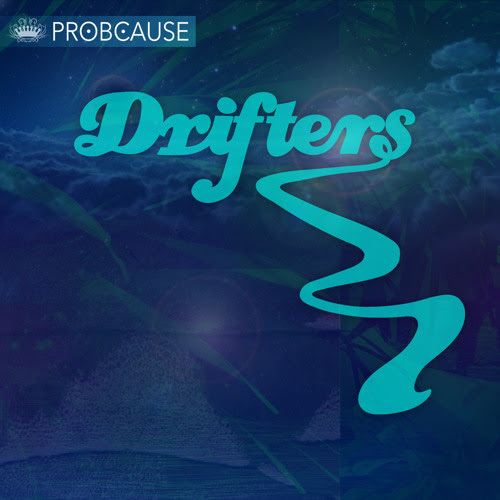 Check out ProdCause‘s Drifters and leave feedback below.